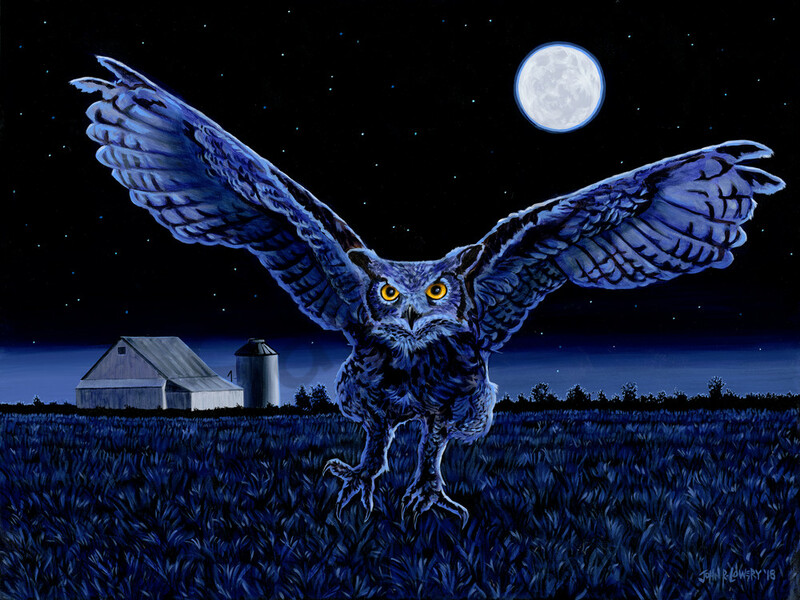 Original painting of an owl in mid-air hunt with full moon, available as art prints. Ever wonder what it might feel like to be the mouse? All you might hear is swoosh! The original painting is 40in x 30in. It is available in the Studio and you can reach out to John R. Lowery at john@humbledonkeystudio.com for more information.